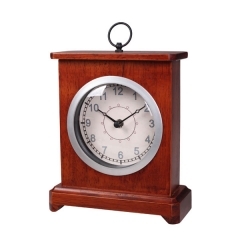 Encased in a real wood block that features a footed base for stability, this wood mantel clock is merely a classic. 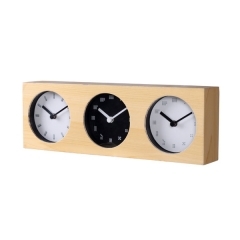 A 3 time zones wooden table clock design, you can know the timing of the cities that you concern at a glance. 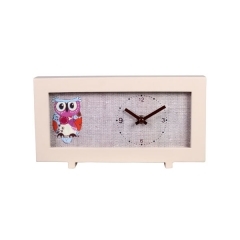 A quartz wooden desk clock, owl graphic on the linen finishing paper, along with the wooden case display an indie pop style of home decor.